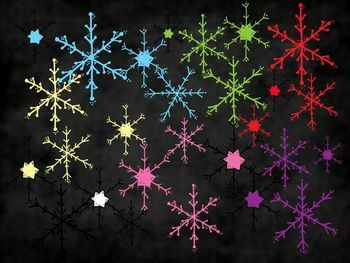 This is a set of 32 colorful snowflake digital clips. Included are both colored snowflakes and white snowflakes. Each image is saved in it's own png file. Saved at 300 DPI, so they can be easily layered in projects and lesson plans.